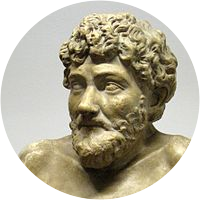 A collection of the best Aesop quotations. Never trust the advice of someone in difficulties. A doubtful friend is worse than a certain enemy. Please all and you please none. Injuries may be forgiven but not forgotten. Better one safe way than a hundred on which you cannot reckon. The fly sat upon the axel-tree of the chariot wheel and said, "What a dust do I raise!"